There were many symbols that the ancient Egyptian used extensively. Many of them had one version associated with Upper Egypt, and another with Lower Egypt. The most obvious were the crowns. 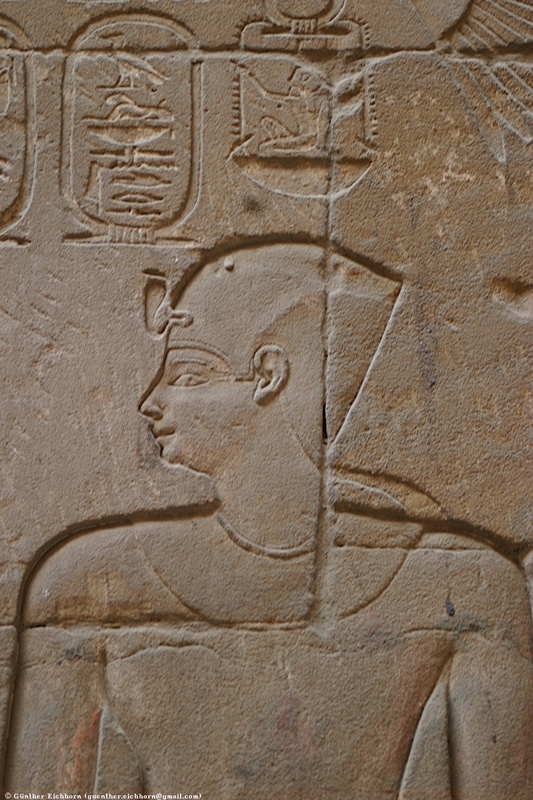 The Hedjet or White Crown was the crown of Upper Egypt. The Deshret or Red Crown was the crown of Lower Egypt. After the two parts of Egypt were united, the Pshent, or Double Crown was used by the Pharaohs of both Egypts. 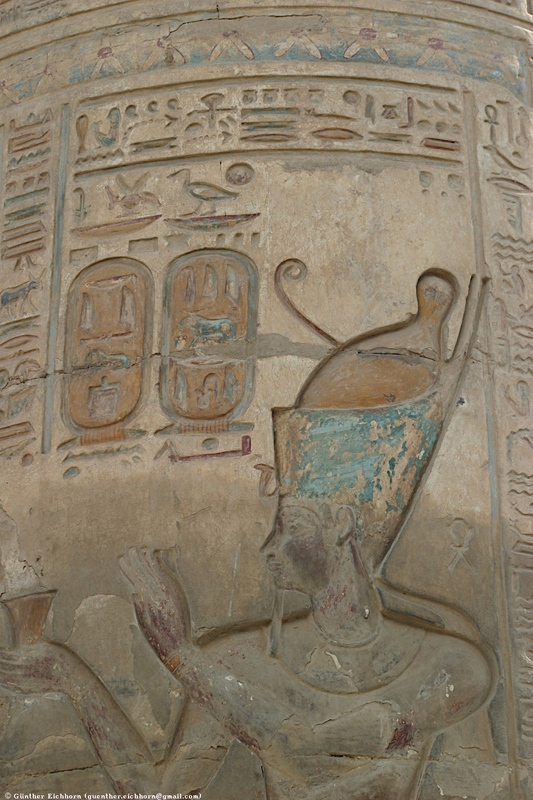 Another was the Khepresh or Blue Crown, the war crown that was used by the Pharaoh in war. 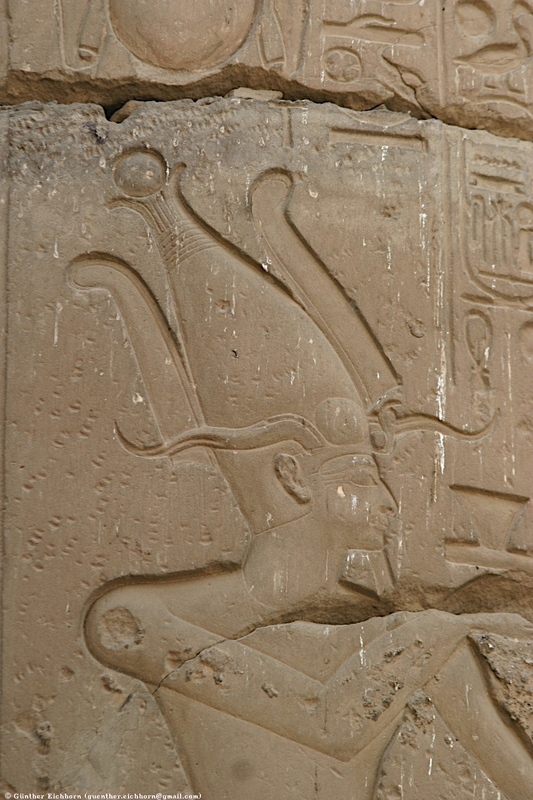 The Atef was the crown worn by Osiris. It is made up of the white crown of Upper Egypt, the red feathers are representative of Busiris, Osiris's cult center in the Delta. The Ankh was the key of eternal life. 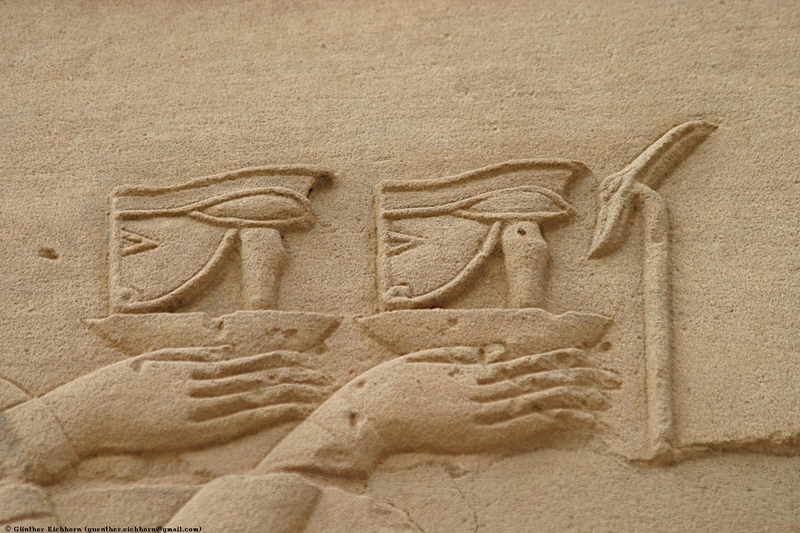 The Gods are often seen holding an ankh to the Pharaoh's lips. This is considered to be an offering of "The Breath of Life", the breath you will need in the afterlife. The Was Scepter was the symbol of power and dominion. It has the head of a Jackal on top. The Was Scepter is carried by deities as a sign of their power. It is also seen being carried by kings and later by people of lesser stature in mortuary scenes. 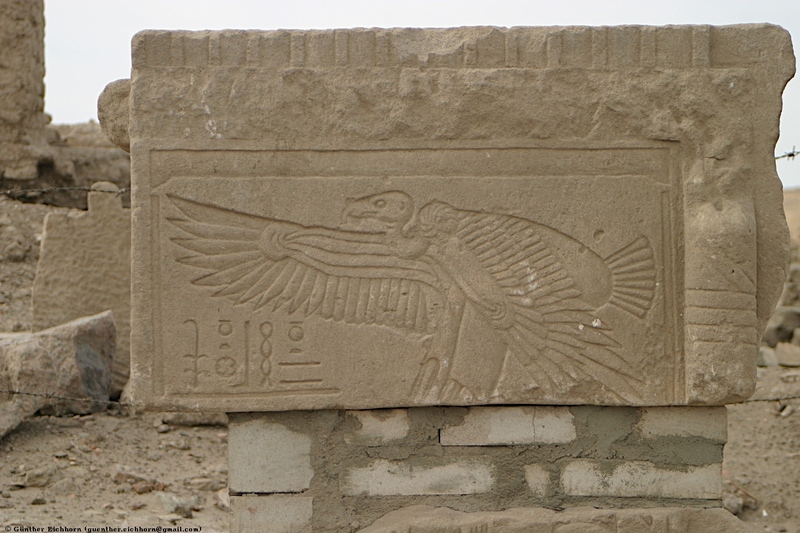 The Uraeus or Cobra and the Vulture were symbols of protection, the Cobra for Lower Egypt, and the Vulture for Upper Egypt. The Lotus was the plant symbolizing Upper Egypt, the Papyrus the plant symbolizing Lower Egypt. 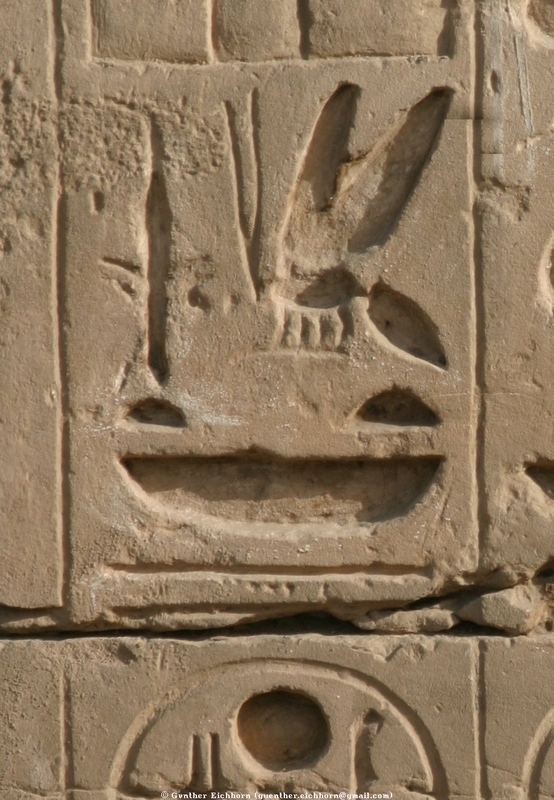 The Reed or Su plant and the Bee are another set of symbols representing Upper and Lower Egypt respectively. 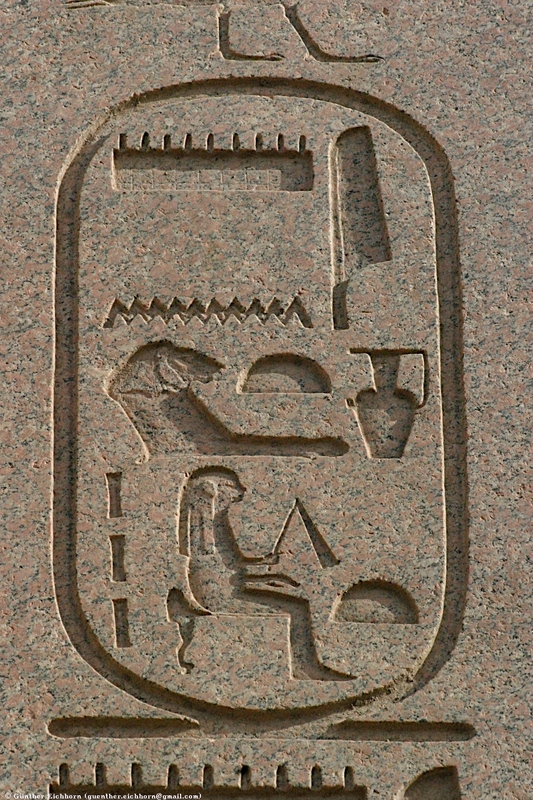 The Cartouche was used to highlight the Pharaohs name. 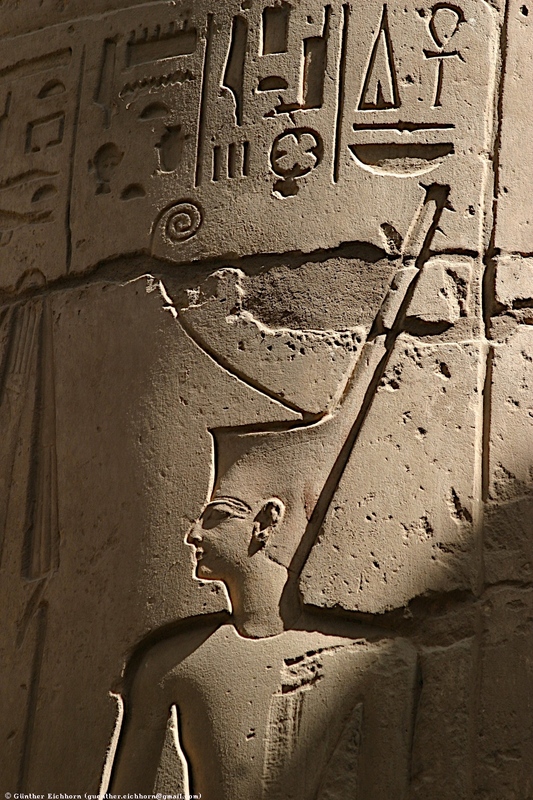 Every time the name of a Pharaoh appears, it is enclosed in a Cartouche. These Cartouches were instrumental in the deciphering of the Egyptian Hieroglyphic writing from the Rosetta Stone. 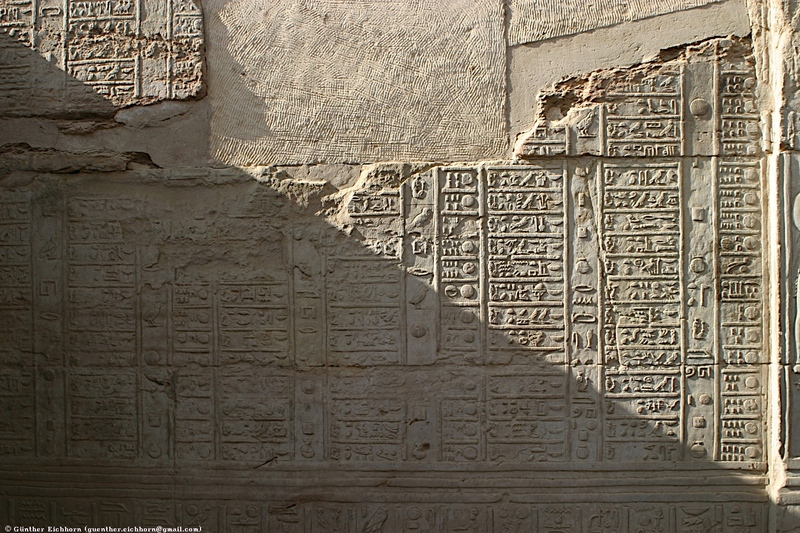 Scientists could identify the names of the Pharaohs in the different scripts and translate them from there. The calendar of Ancient Egypt was based on three seasons with four months each. Each month had 30 days. At the end was an additional month of 5 epagomenal days, celebrating the birthdays of Osiris, Horus, Seth, Isis, and Nephtys. The God Thoth was credited with having devised the calendar and added the five extra days. He played dice with the other Gods, and when he won, he asked for the extra five days. The three seasons were the flood season (akhet ), the growing season (proyet ), and the harvest season (shomu ). The four months of the flood season were Tekh, Menhet, Hwt-Hrw, and Ka-Hr-Ka, the four months of the growing season were Sf-Bdt, Rekh Wer, Rekh Neds, and Renwet, and the four months of the harvest season were Hnsw, Hnt-Htj, Ipt-Hmt, and Wep-Renpet. The first appearance of Sirius in the pre-dawn sky was used to start the Egyptian calendar year. The calendar itself dates back to pre-dynastic times. The dates are listed in increasing day number. For regular dates, only the day number is specified. For the first day of each month, the full date is specified. This can be seen in the right-most column with this date: . It specifies the first day ( far left) of the third month ( far right) of the growing season ( center). The date above it ( ) shows the symbol for thirty ( top) and for day ( bottom), the 30th and last day of the previous month. The date above that ( ) shows the symbols for day ( far right), nine ( far left), and twice the symbol for ten ( center), adding up to 29. 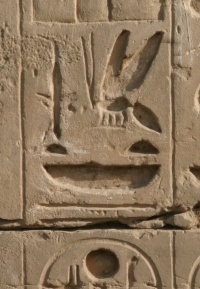 The following relief shows calendar information. Pharaohs had several names. The first one is the Birth Name or nomen. The second one is the Coronation Name or praenomen. These two names are always shown in a Cartouche. The Coronation Name is usually introduced by the sedge and the bee (read "nisu-bity"). 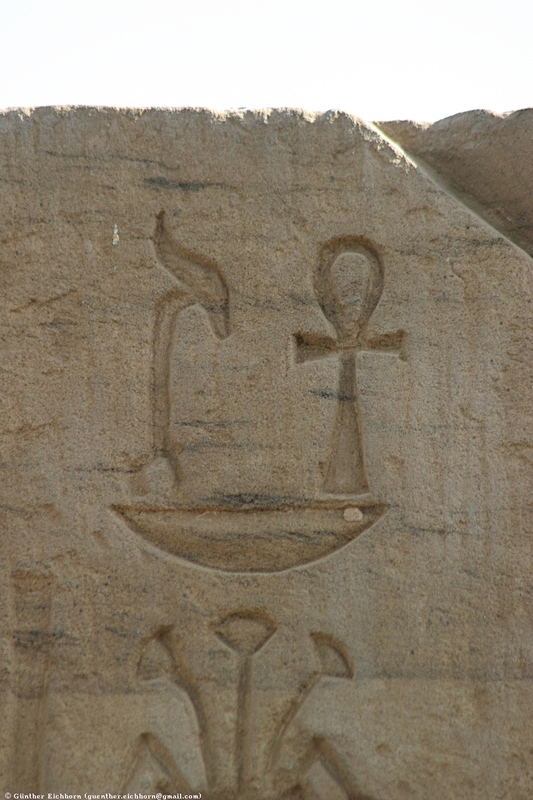 The Birth Name is usually introduced by the duck and sun symbols (read as "sa-re" or "si-re", and meaning "son of Re"). Later, other symbols were used to introduce the two names. Examples of two more sets of symbols are shown below. 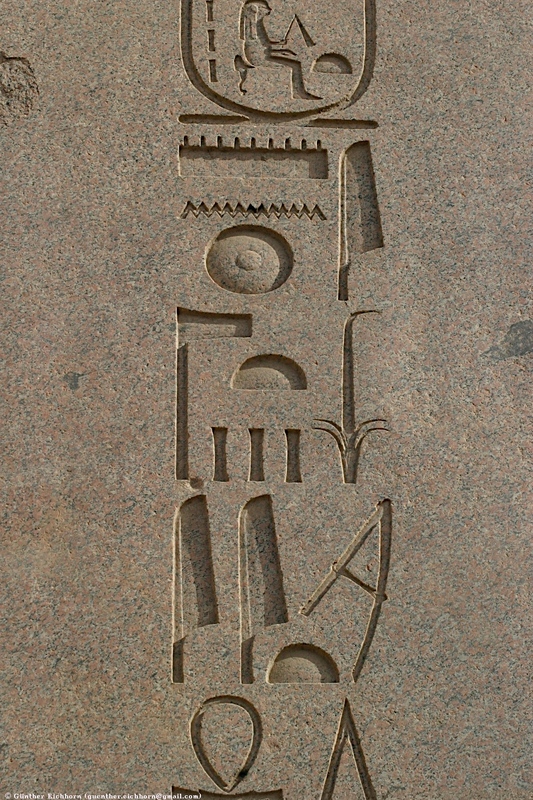 The Cartouche is the oval around the Pharaoh's name with the horizontal bar at the bottom. 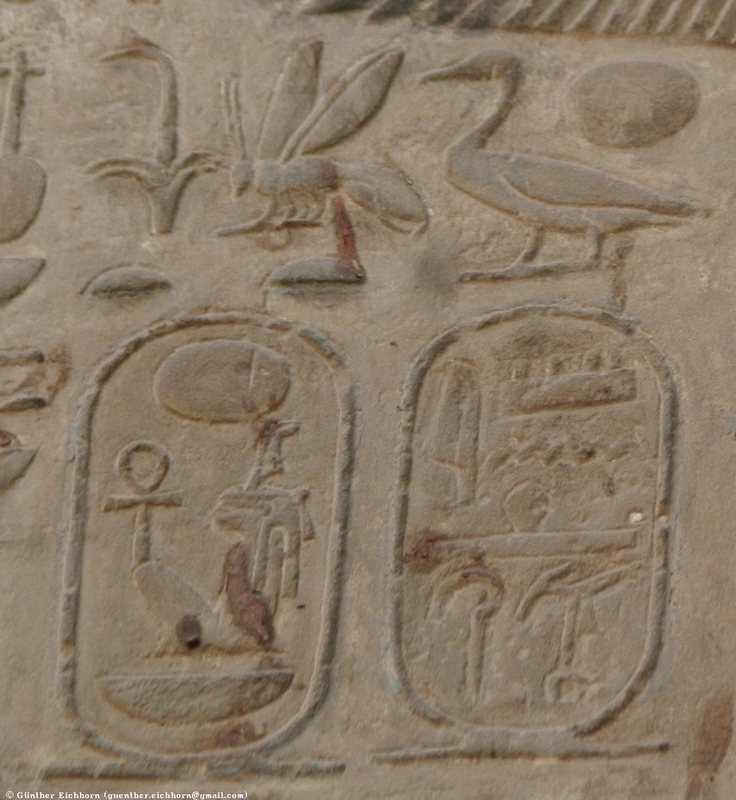 These Cartouches were instrumental in helping deciphering the Hieroglyphics. They provided the means of identifying individual hieroglyphs on the Rosetta Stone, and correlating them with the Greek inscriptions of the names of the Pharaohs in the Cartouches. The Horus Name is the oldest form of the name of a Pharaoh. It is usually written in a serekh, a representation of a palace facade. 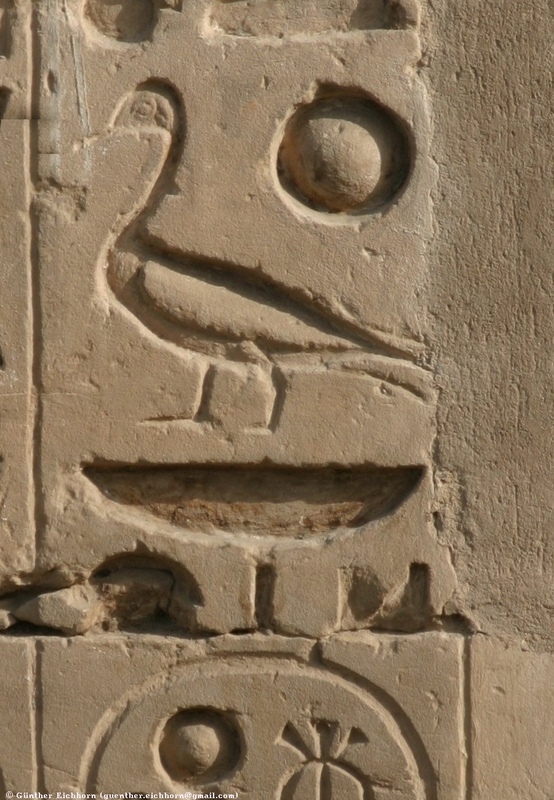 Usually, the representation of the Horus falcon is sitting on top or next to it. 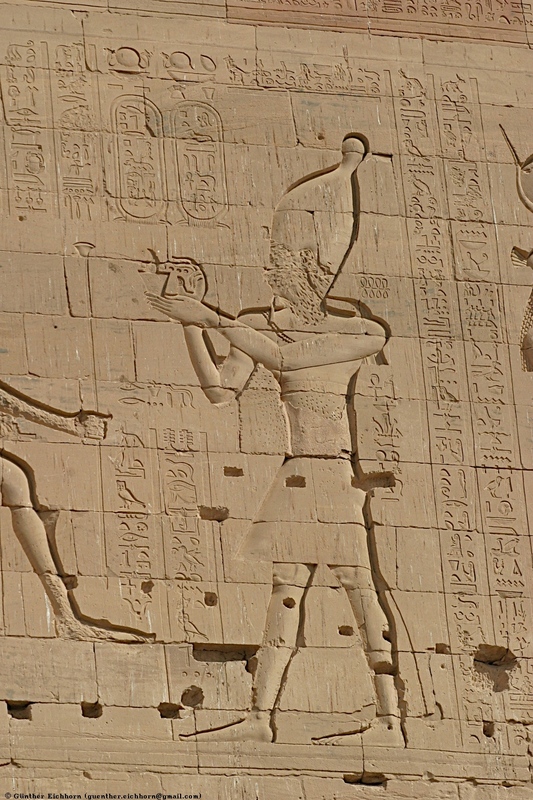 Many of the oldest Pharaohs are only known by their Horus Name. 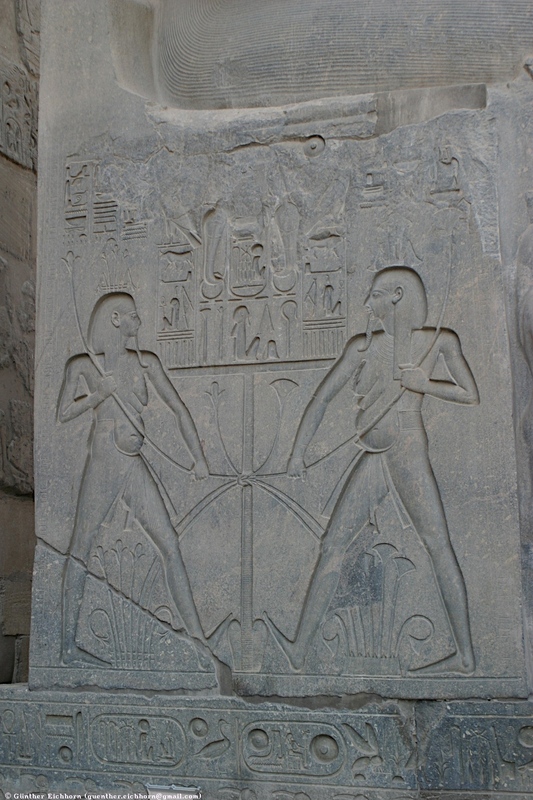 The Nebty ("two ladies") Name was associated with the two Goddesses representing Upper and Lower Egypt. They were Nekhbet, the patron Goddess of Upper Egypt, represented by a vulture, and Wadjet, the patron Goddess of Lower Egypt, represented by a cobra. 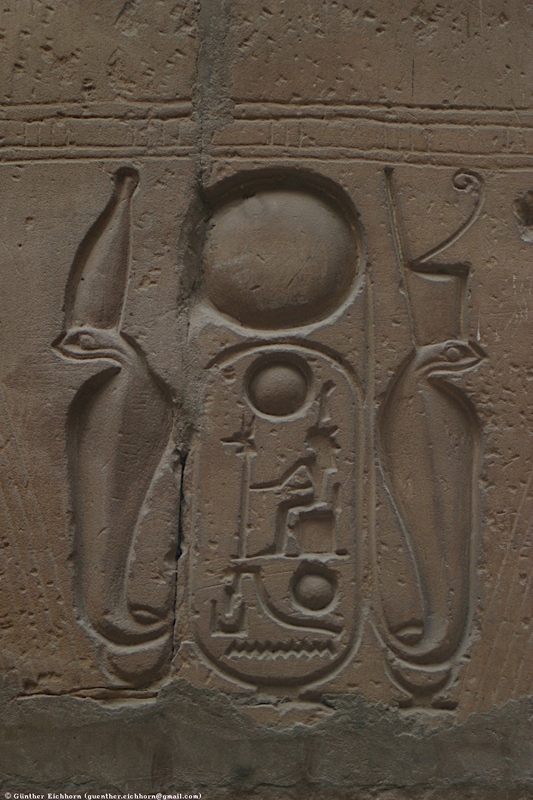 This particular name was not typically framed by a Cartouche or serekh, but always begins with the hieroglyphs of a vulture and cobra resting on two baskets, the dual noun "nebty". Another name was the Golden Horus Name. 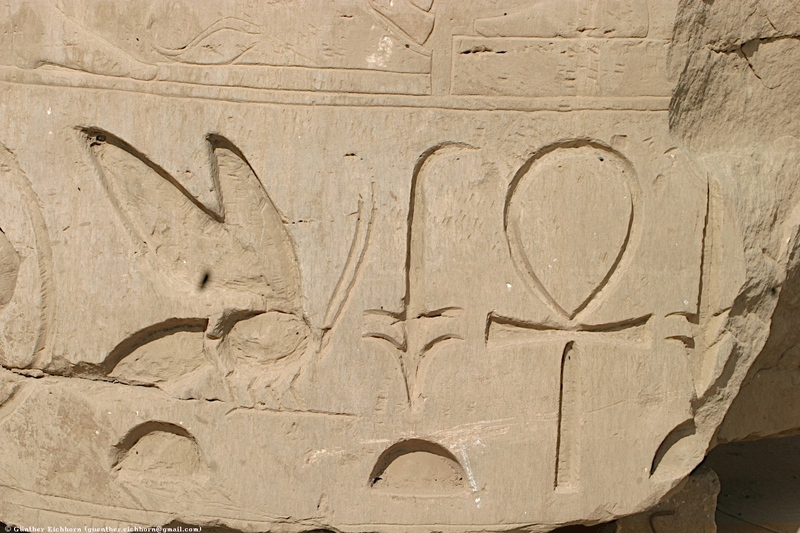 This name was shown with the Horus falcon, sitting on the hieroglyph for gold. Like the Nebty Name, it was not framed with a Cartouche or serekh.